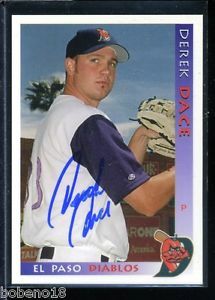 I was asked to drop down when I was with the Diamondbacks AA affiliate El Paso Diablos. We played an exihibition game against the big league club where I pitched 2 innings. Buck Showalter was the manager at that time and after I threw informerd our manager Don Wakamatsu and pitching coach Dennis Lewallyn that he would like for me to drop down. From that point on I was throwing side arm. I felt the advantage from the sidearm angle was being 6'6'' and left handed was simply something most hitters had rarely seen. I believe dropping down extended my career. At the time, I wasn't all on board with the change becuase up to that point I had been relatively successful with a traditional arm angle. However in reality I believe I had peeked at the AA level and dropping down allowed me to move on and pitch at the AAA level. I would tell someone debating on changing their arm angle to be prepared for early struggles in the change. Some respond quicker than others but it takes time to develop the feel in the arm angle change. One mechanical tip I would point out would be to realize your arm position really doesn't change all that much from a traditional throwing motion. Instead the bend of your body at the waist creates most of the angle for you. Another tip I would remind side arm pitchers is to maintain the ability to stay "on top" of the ball with your release. I struggled to keep that in mind towards the end of my career which inevitably led me to the insurance business where I am today lol. I threw both the 2 and 4 seam fastball, a circle change, and a slider. I threw pretty textbook to both lefties and righties. Lefties I would throw both the fastball and slider. To righties predominately fastball and change up. My circle change was far and away my best pitch and I really regret not throwing that pitch more to lefties. Lastly, my favorite part about throwing sidearm was that it gave me the confidence that I could miss with a fastball leaving it over the plate and still get away with it.